Worship of Shirdi Sai Baba is more than a 100 years old. Why bring this up now? 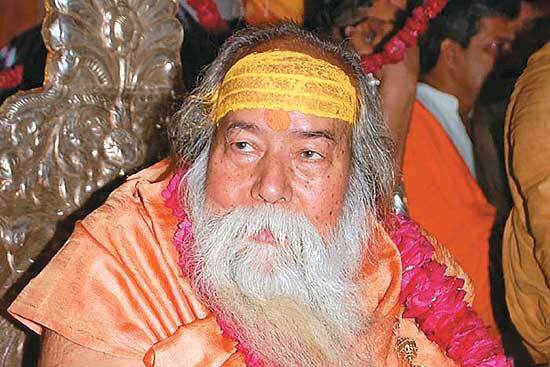 A journalist asked me if Sai Baba worship was in accordance with Sana­tan dharma. I explained that Sanatan dharma allows prayer to gods or incarnations. Sai is neither a god nor an incarnation. I did not raise the issue myself. But I have all along been saying what I told him. This time, it was played up because I said it to the media. You have said that Sai Baba was a Muslim and he ate meat; therefore, Hindus should not worship him. Yes. We have nothing against Muslims praying in their own way and following their religion. Muslims have a different way of praying, they have their rituals. The two cannot be the same. They eat meat. Let them do it their way; we should follow our way. But devotion to Sai Baba has brought people together, has it not? No, this cannot be done. Muslims and Chris­tians have said they don’t pray to Sai Baba as if he were a god. Why are Hindus holding on? What about Abdul Baba’s shrine and the devotees at Shirdi who are from all faiths? They may be coming but they don’t really have faith. All you people are attacking us. But understand my predicament. We wish that our Sanatan dharma stays forever. That is not true. We are worried that if our devotees go there, they will stray from our religion. We believe one gets salvation by remembering god’s name at the time of death. But if people take Sai’s name, then what? He was not a god or a saint. There are many Hindus who believe in Sai Baba as well as in other gods. When people found out, they stopped worshipping him. Many have told me they didn’t know he was not a god, saint, guru or incarnation. Hindus across India have acce­pted my view. I have got many messages saying that. But what is wrong if a Hindu goes to temples, churches or dargahs? If people ask us where to pray, we will say that must pray the way their forefathers worshipped. Sanatan dharma is the oldest. The oldest scripture is the Rig Veda. Many people have found solace following shastras. Shirdi Sai Baba and his worship is not even 100 years old. People found answers before that also, were blessed before that also. If people can benefit by going to Ram, then why go there. People assume that their progress has happened because of visiting Shirdi. They go because they want to succeed or get married. No one is going there for salvation. Is Sanatan dharma the only way? For a Hindu, yes. Dharma is about what is good (punya) and what is bad or sin (paap). Vedas and shastras are the only way to know the difference between good and bad, right and wrong. Like having a child with your wife is dharma, but with another other woman is adharma, though it involves same action. There are several other contemporary saints in Maharashtra, like Swami Maharaj, who are also worshipped. Yes, but there’s a difference. People pray to and worship saints as saints and not as gods. The difference is that Sai Baba is represented as a god—there are depictions of him giving viraat darshan like Lord Krishna, or playing the flute. That’s not correct. People say you are doing this because the Sai Sansthan is growing richer and popular. Today people read or write less, they watch TV channels more. So whatever is shown on TV, they believe. At one time, Santoshi Mata became popular and everyone was worshipping her and putting their money in her temples. This will get over. Are you going to take this forward? I have done what I had to, I have spoken. Now, people are doing what they have to. What we have said is itself revolutionary. My effigies were burnt, but I am tolerating all this. In a democracy, am I not allowed to say what we feel is right?